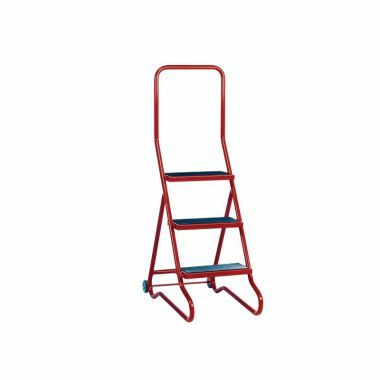 The range of mobile safety steps provides a variety of step units designed for use within industrial environments allowing the user to work safely at a height. 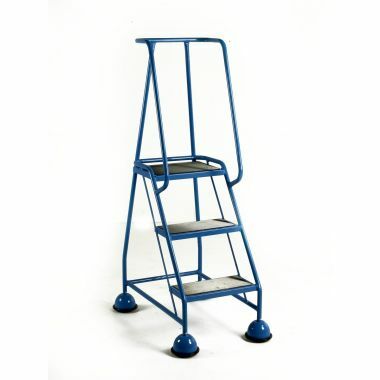 Our classic steel mobile safety steps and wheel along step units are all manufactured in the UK to a very high standard and meet relevant British and European safety standards. 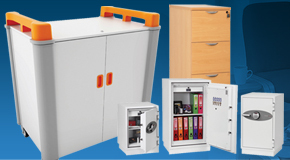 Incredibly durable, each of our mobile step units offers a safe and secure solution to suit many different applications. Steptek step units are available in a huge range of sizes and incorporate safety hand rails, platforms and can be supplied with safety rails, access gates and a number of different alternatives if required. 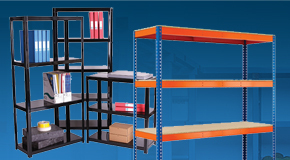 Perfect for warehouses and distribution centres our mobile dock steps provide a safe and stable solution for accessing vehicles, shelving and raised mezzanine flooring. Effortlessly wheeled along our mobile dock step units can be supplied in a variety of different sizes as well as either galvanised or powder coated finishes. Equipped with 2 durable and ergonomic handles the steps can be tilted and wheeled on their durable back wheels to wherever they are required. 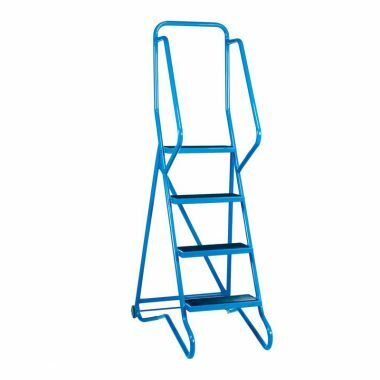 Once positioned the front legs are equipped with rubber feet that prevent the dock steps from moving whilst in use and the steps themselves incorporate 2 safety hand rails to assist with climbing and decent. 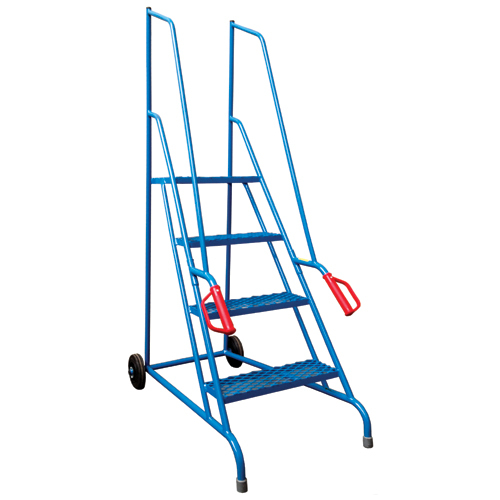 The top platform leads to an open back on the mobile dock steps to allow the user to simply step through onto the level they are climbing to whether it be a tail lift or a mezzanine floor. 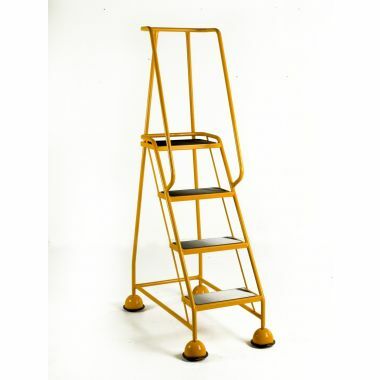 The classic mobile safety steps are a common design and are used throughout a huge range of industries for working at height safely and securely. 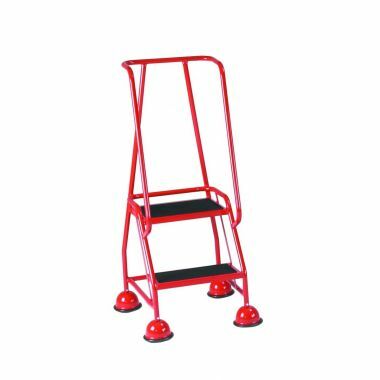 Equipped with castors covered by rubber feet the safety steps can be easily wheeled to where they are needed and then once pressure is applied to the steps the rubber feet engage and the step unit is secured. 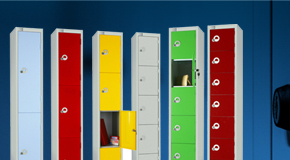 These step units are manufactured in the UK to a very high standard and are available in a wide range of colours and sizes. 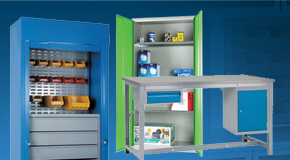 Steptek step units and spring loaded safety steps work on a spring loaded system to enable them to be moved. 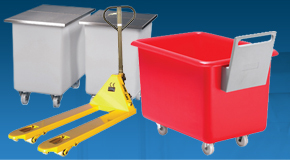 The spring loaded step units can be effortlessly wheeled about a busy warehouse floor but when pressure is applied to the first step, the feet lock down and prevent the unit from moving whilst in use. 1. Health and safety is imperative to any working environment and whilst working at a height you must adhere to many regulations. 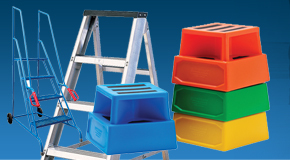 Our range of safety steps and mobile step units help to provide a safe and stable solution for when working at a height. 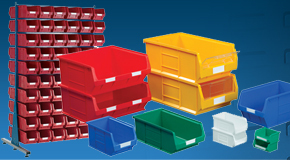 Our classic mobile safety steps incorporate a classic wheeled design and are ideal for warehousing, distribution and stock picking within demanding industrial environments. 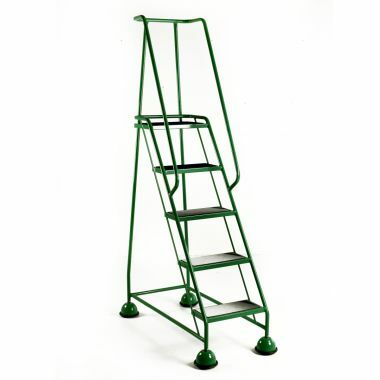 Built to a high standard the mobile steps are constructed from a tough and durable steel and can be easily manoeuvred around busy floors and then locked into position where needed. 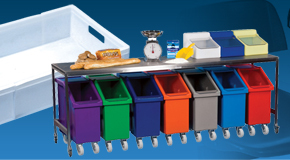 Castors disengage when pressure is applied to the first step, lowering the rubber feet and preventing the unit from moving. 2. Built to meet relevant British and European safety standards the Steptek step units are available in a wide range of different sizes, even up to 4000mm high. 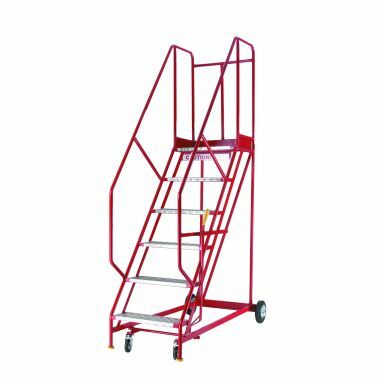 Ideal for working at very high heights within warehouses and factories the step units offer an incredibly secure platform to work from and the mobile step unit can be anchored down using a built-in lever system to ensure they do not move during use. Manufactured in the UK to a very high standard the Steptek step units can be modified if required to suit individual needs including platform gates and added safety rails. 3. 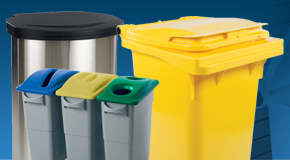 Providing a cost-effective solution that is ideal for less heavy duty applications our aluminium warehouse step range is perfect for many industries. 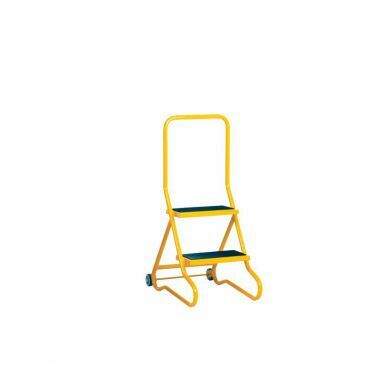 Equipped with wheels on the back legs and rubber feet on the front the warehouse steps can be effortlessly manoeuvred into position and then secured in place. 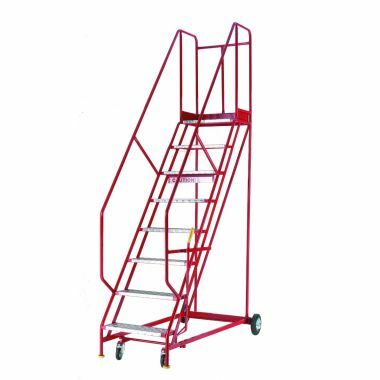 Incorporating safety rand rails these aluminium step units are a popular choice for many warehouses and dispatch areas.